I have recently watched The Doctor Who story Visitation which was first broadcast 15 February 1982. it stars Peter Davison as Doctor Who, who along with, Adric Nyssa and Tegan lands in London a few hundred years ago and notice a strong smell of sulphur and head off to find the source. They are then attacked by villagers, but escape, and meet Richard Mace, ahighwayman and proclaimed thespian, who takes them to safety inside a barn. they discover that some kind of comet recently landed nearby. The Doctor takes immediate interest in the necklace Mace is wearing, which is actually a bracelet used for prisoner control. The group begins searching the barn and comes across several power packs, And set off to the nearby manor to find the owner of the barn. at the manor, they find more power packs, gunpowder, and The Doctor also notices that there is a wall where there shouldn’t be one which he discovers is a holographic energy barrier they notice the place also smells of sulphur and while investigating the cellar they discover several caged rats and the device emitting the soliton gas and are suddenly, attacked by a hidden android, which succeeds in stunning Tegan and Adric. (I always thought Peri’s outfit was rather stunning too, but let’s not go into that)They then learn that an alien has landed on Earth and that the comet was in fact his crashed spaceship, and the survivor is revealed to be a Terileptil who captures and interrogates Tegan and Adric Meanwhile, the Doctor and Mace discovers the Terileptil’s ship near the manor. however they are interrupted by a group of villagers, who demand that the Doctor come with them, and when he refuses they attack he and Mace escape Into the forest Followed by the angry villagers. Back in the manor, Tegan and Adric Are locked up, meanwhile the Doctor and Mace decide to question the local miller .Tegan and Adric eventually escape and head up into the manor however Tegan is recaptured by the android. the Doctor and Mace decide to join Nyssa in the TARDIS. However, just as they are leaving the mill, they are confronted by real villagers and are about to be killed for being “plague carriers”. The Terileptil sends the controlled Headman of the village in to stop them. The villagers then throw the Doctor and Mace into a room in the mill and back at the TARDIS, Adric arrives and assists Nyssa The Doctor succeeds in disabling two of the bracelets and the Terileptil dispatches the android to retrieve them and take the Doctor and Mace back to the manor where they find Tegan. The Doctor encounters the Terileptil, and learns that he has a dastardly plan involving rats. So the Doctor chases the Terileptil leader and his two henchmen to London where the resulting conflict causes a large explosion which destroys the building and Has disastrous consequences For London. the action takes place in an un-named village, set in a non-specific historical period, which feels, much less communal than it ought at its centre stands a pillory, which symbolically takes the place of the Christian cross as its ritualistic centrepiece. Consolation and redemption are to be found in working the field, symbolised in the plough. Things change When a small band of “outsiders” arrive and are found on common land shortly after the local Manor house is set ablaze and the villagers decide that the outsiders, a woman, her husband and her Father, are the culprits and find a disturbing use for their “neglected” pillory, a contraption which, in addition to its gruesome physical consequences, allows its prisoners’ suffering to be seen from all sides while limiting their own field of vision. In addition the new landlord announces his intention to turf out the villages inhabitants and replace them with sheep. initially this causes uproar but a sense of acceptance pervades later when the locals abandon the village and the novel’s narrator Walter Thirsk is tasked with its upkeep.” Thirsk is aswhimsical and free-floating as his prose: a widower, he conducts a perfunctory sexual relationship with a fellow villager, harbours timid fantasies of cross-dressing, and enjoys what can at times feel like a sadomasochistic relationship with his superior, Master Kent. He is also fond of puns, many of which serve to transport his thoughts beyond spatial, temporal, or emotional boundaries. 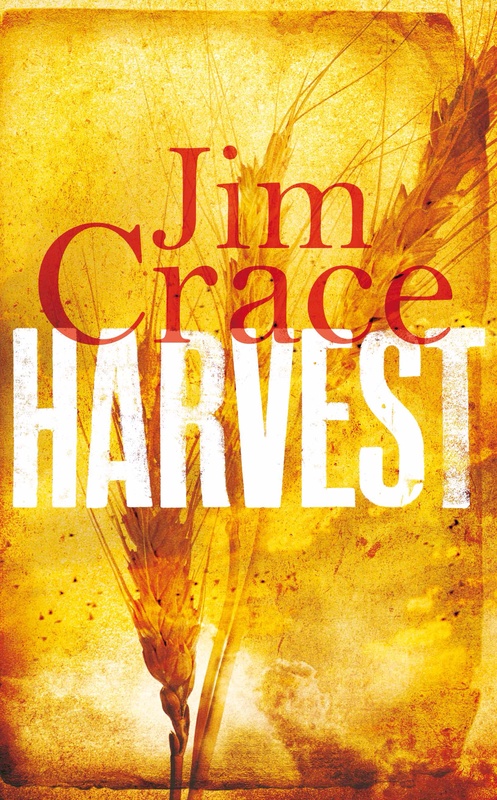 Soon Thirsk starts to harbour feelings for the recently arrived woman, however Over the course of seven days, Walter Thirsk sees his hamlet unmade: the harvest blackened by smoke and fear, the new arrivals cruelly punished, and his neighbours held captive on suspicion of witchcraft. But something even darker is at the heart of his story, and he will be the only man left to tell it . . .
Ronnie Vannucci Jnr the drummer and percussionist with Las Vegas band The Killers was born15 February 1976. The killers were formed in 2001, by Brandon Flowers (lead vocals, keyboards) and Dave Keuning (guitar, backing vocals). Mark Stoermer (bass, backing vocals) and Ronnie Vannucci Jr. (drums, percussion) completed the current line-up of the band in 2002. The name The Killers is derived from a logo on the bass drum of a fictitious band portrayed in the music video for the New Order song “Crystal”. studio albums which the band have released include Hot Fuss (2004), Sam’s Town (2006) and Day & Age (2008)and Battle Born. They have also released one compilation album, Sawdust (2007) and one live album and DVD titled Live from the Royal Albert Hall (2009). Tomi Petteri Putaansuu A.K.A Mr Lordi The lead singer of Finnish Heavy Metal band Lordi was born on 15 February 1974. 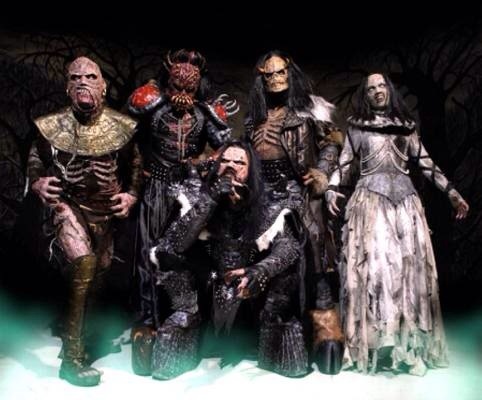 Lordi were formed in 1996 by the band’s lead singer, songwriter and costume-designer, Mr. Lordi. The band is known for wearing monster masks and using pyrotechnics during concerts. They rose to domestic success with their 2002 single, “Would You Love a Monsterman?”. Lordi made history in 2006 by winning the Eurovision Song Contest with a record 292 points, becoming the first Finnish performer to win the contest. I’m hoping they invade the stage at this years Eurovision Song Contest and run amok before clobbering Jedward mind you I said that last year and nothing happened, which was disappointing. Lordi were also featured on the 2006 MTV Europe Music Awards in Copenhagen when the band’s frontman, Mr. Lordi, presented the award for rock. They were also the closing act, playing their single “Hard Rock Hallelujah”. They also performed on Britain’s Making Your Mind Up for the Eurovision Song Contest. Lordi performed on the main stage at Ozzfest 2007 and later that year toured with Type O Negative and Twin Method until Halloween night. English singer-songwriter Ali Campbell, the lead singer with Birmingham reggae band UB40 was born 15th February 1959. Formed in 1978 in Birmingham, England, UB40 were named after the Unemployment Benefit form, in protest of widespread unemployment (As was the song “One in Ten” and have gone on to enjoy massive success, having placed more than 50 singles in the UK Singles Chart, and also achieving considerable international success. The band have also been nominated for the Grammy Award for Best Reggae Album four times, and in 1984, were nominated for the Brit Award for Best British Group. One of the world’s best-selling music artists, UB40 have sold over 70 million records. Among Their hit singles are their debut “Food for Thought” and two U.S. Billboard Hot 100 number ones with “Red Red Wine” and “Can’t Help Falling in Love”. Both of these also topped the UK Singles Chart, as did the band’s version of “I Got You Babe” featuring guest vocals from Chrissie Hynde of the Pretenders. Back in the 1970′s I used to think Supertramp were great, so I thought I would do a post on John Helliwell, the English musician with the British Rock Band Supertramp, who was born 15th February 1945.Supertramp formed in 1969 under the name ”Daddy” before renaming themselves in early 1970. Though their music was initially categorised as progressive rock, they have since incorporated a combination of traditional Rock, pop and art rock into their music. The band’s work is marked by the inventive songwriting of Rick Davies and Roger Hodgson, the distinctive voice of Hodgson, and the prominent use of Wurlitzer electric piano and saxophone in their songs. While the band’s early work was mainstream progressive rock, they would enjoy greater critical and commercial success when they incorporated more conventional and radio-friendly elements into their work in the mid-1970s, going on to sell more than 60 million albums.They reached their peak of commercial success with 1979′s Breakfast in America, which has sold more than 20 million copies.Though their albums were generally far more successful than their singles, Supertramp did enjoy a number of major hits throughout the 1970s and 1980s, including “Bloody Well Right”, “Give a Little Bit”, “The Logical Song”, “Goodbye Stranger”, “Take the Long Way Home”, “Dreamer”, “Breakfast in America”, “It’s Raining Again”, and “Cannonball”. The band attained significant popularity in the United States, Canada, Europe, South Africa and Australia With classic albums like Breakfast in America and It Was the Best of Times. Since Hodgson’s departure in 1983, founder Rick Davies has led the band by himself.